Hard foam head and hands with straw hair, shredded drape clothing and gauze overclothes. 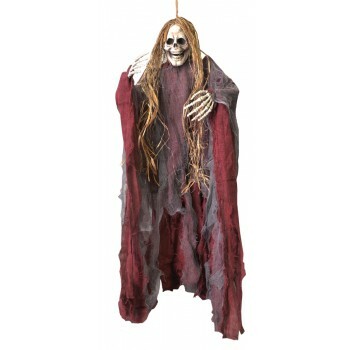 Rope attached to body for easy hanging. Great Halloween Decoration. 39 inches long.